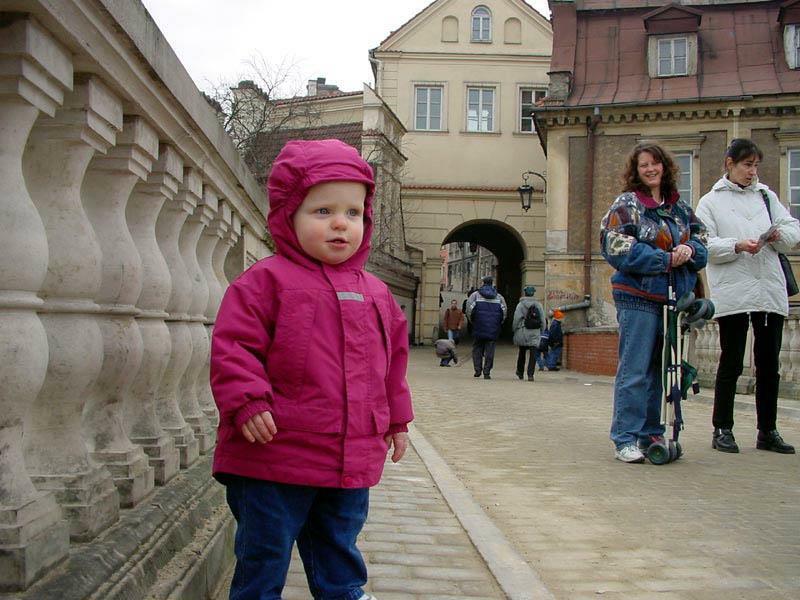 Marlis Hazleton touring Lublin- Poland. Taken in Fall 2001. Marlis and Lesley in Lublin, Poland. Lublin Old Town is one of the most precious Polish complexes of historic buildings. The Crown Tribunal and the 14th-century Kraków Gate leading from the Old Town to the city center are commonly considered symbols of the city. The gate is built in a gothic style and has some baroque elements added in the 18th century. The district is one of Poland's official national Historic Monuments .